malnutrition, and infectious diseases, to hypertension, high cholesterol, and obesity. For people in rural India, these are considered as ‘Rich Man’s diseases’. because you come across situations where you find ‘primitive’ ways of doing things, where you are supposed to act as ‘Jack of all trades’. and work was more delegated as compared to rural medicine. I nurtured my medical abilities in Urban Medicine and gradually got into this notion of extending my horizon to different corner of the world, United States of America. America is known to be a country of opportunities and I found one for myself in Baltimore, Maryland. I started over as a medical resident in Internal Medicine, and it was not too long when I realized that I am totally used to so called ‘Advanced Medicine’. In my 2nd year of medical residency, I thought of re-nurturing my interest in Rural Medicine and was fortunate to find one. Since then, I am working in this part of the world which is very rewarding and satisfying. As part of American medicine now, I thought of addressing some issues, which I come across on a daily basis. yourself. Things don’t get better just by thinking about them, action is what is required to make the change happen. For most of us, happiness means lots of money, a high-powered job, a picture-perfect family, a big extravagant home and a beautiful body. But by the end of the day what matters is satisfaction with whatever is going on in your life. People ask what happiness is? It is nothing but ‘satisfaction’. Just take a minute and try to remember some moments in your life when you were very happy. They were nothing but the times you were satisfied which could be anything like good scores in class, driving your dad’s car for the first time, finishing the long awaited project at work, giving a hand to the old lady with her grocery bags, etc. Believe it or not,but inner happiness plays a great role in your health. It’s the food for good health. You cannot be healthy just by working out for 1 hour in a gym everyday, taking the most expensive dietary supplements in the market and getting 8 hours of sleep. You have to achieve your mental and social goals also. when you first started to feel better? Until we are sick, we rarely appreciate how good it feels to feel well. Be glad you are well. 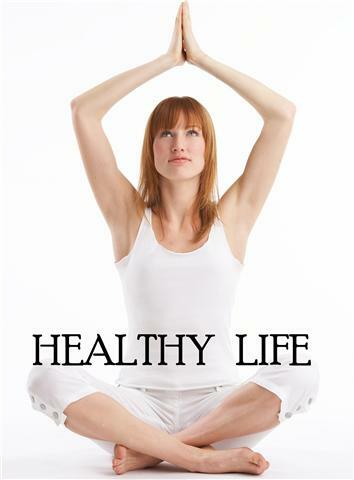 Everyone knows that healthy mind lives in a healthy body. So lets work together on some health related practices that will help us achieve our physical goals, inner peace, and comfort. I need your help to help you get towards those goals.